So, I may have bought a whole entire army for a whole entire new game at CANCON this year. After holding to my “not buying anything that doesn’t fit in a figure case I already own” thing for a whole year, I go and fall off the wagon in catastrophic style. 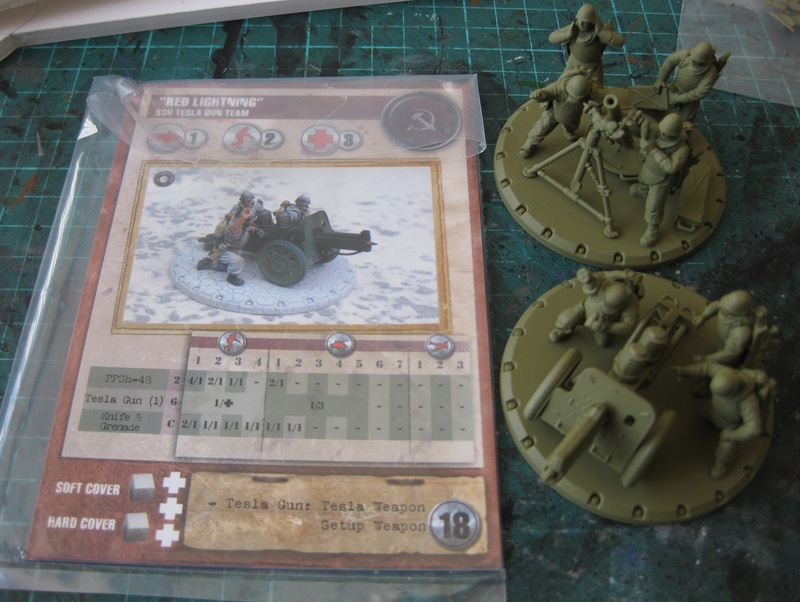 So now I have a SSU army for Dust Tactics. Damn you Good Games and getting rid of Dust stuff at about a quarter of retail (it was already 50% off, and then they were discounting even further on the last day of CANCON). 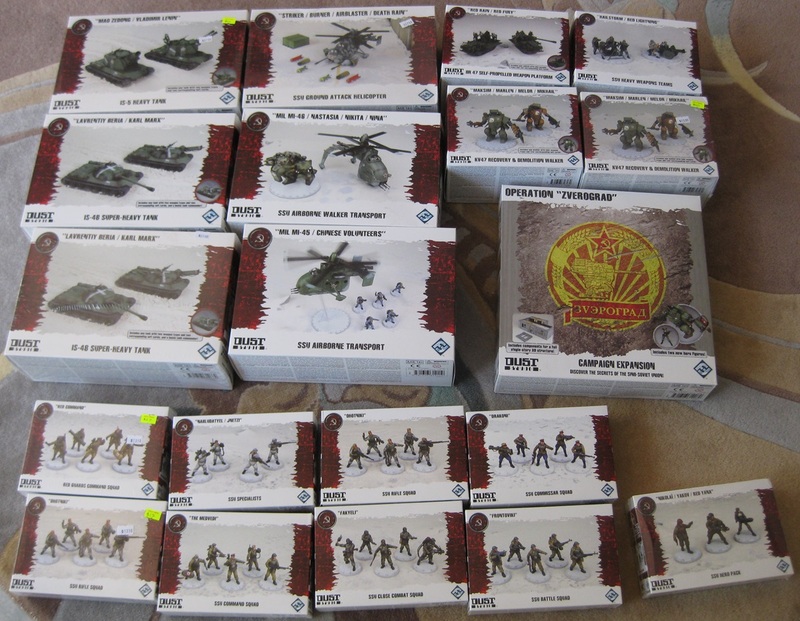 All up, I now own 48 infantry, 2 weapons teams, 1 light tank, 4 medium walkers, 3 heavy tanks, and 3 aircraft. So I guess I have my next painting project now! 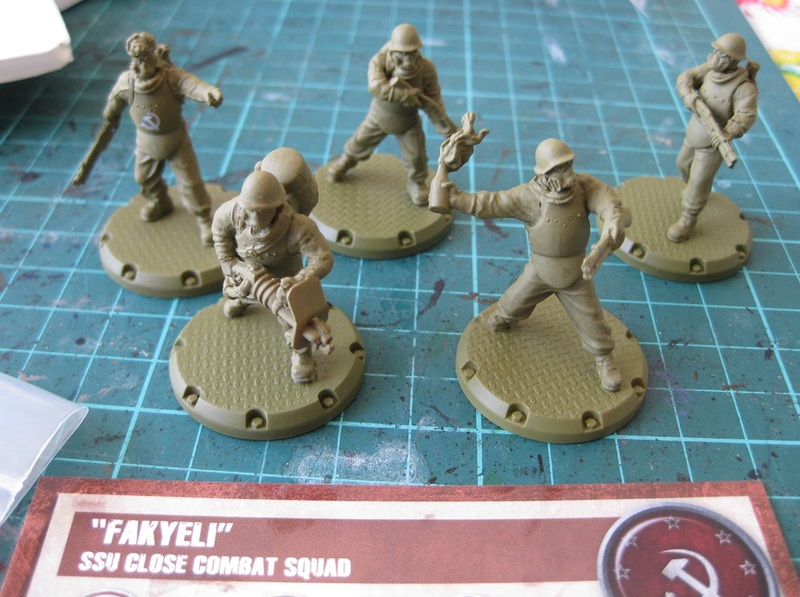 On the plus side, the models are already (mostly) assembled and undercoated, which will hopefully save some effort. 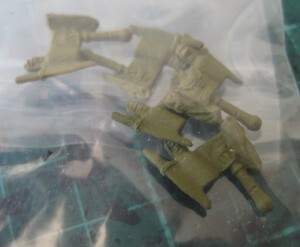 Plus, I won’t feel too guilty about pulling them out to play games with while they’re still unpainted. 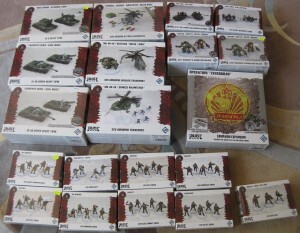 Mostly assembled – there are some extra bits (in this case, ammo and molotovs for the above SSU close combat squad) which need to be attached. These ones are the exception in that they’ll actually require glue – the arms on the walkers and alternate guns on the tanks and such just slot in. On the other hand, there are these great weapons teams which come fully assembled. Great for gaming, although I’m not sure if I’ll end up cutting them off the base for painting or not. I probably should have started smaller, however. This entry was posted in Dust Tactics and tagged SSU by Luke. Bookmark the permalink.